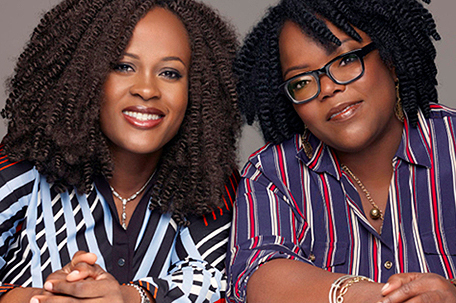 ABOVE PHOTO: Chinelo Chidozie and Ndidi Obidoa, founders of Bolden skincare products. Many people believe that if you are Black, you are not susceptible to sun burn and skin damage. But the truth is that the sun affects Black skin as much as White skin. That is why two Nigerian sisters, Chinelo Chidozie and Ndidi Obidoa, have introduced a new skincare product line called Bolden USA – made specifically for people of color. Rich in antioxidants, one of their products — Bolden Shea Oil — is a brilliant multi-tasker, moisturizing both dry hair and skin, while combating the effects of sun damage and aging. It contains a sunblock that goes on clear with no white streaking. Many Blacks think the sun doesn’t affect their skin. Both sisters agree that the Black community needs to be educated about the dangers of not using sunscreen. Sadly, many Blacks do not use sunscreen because they don’t think the sun poses a danger to them. The sisters grew up in West Africa where shea butter is readily available. So, the main ingredient in their original Bolden beauty line products was shea butter, but many of their customers wanted something they could use as a sunscreen that wouldn’t leave white streaks.